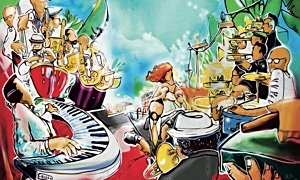 Jazz sets up camp throughout different geographiesand centuries. 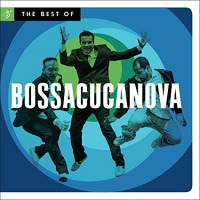 Few bands have built upon the legacy of their chosen field the way that BossaCucaNova has advanced the music of their native Brazil. Their story begins about two decades ago, when three amigosDJ Marcelinho DaLua, Alex Moreira and Marcio Menescal, son of bossa nova pioneer Roberto Menescalbegan remixing classic 1960s bossa nova just for the fun of it. Five albums later, their Best of compilation presents "our best arrangements, most original beats, and top performances," Marcio explains, plus two new tunes for this collection. History mashes up into the modern nearly everywhere you turn. The opening "Berimbau" features Os Cariocas, a Brazilian vocal group founded in 1942. "Berimbau" is named for one of Brazil's oldest, most revered stringed instruments; Marcio grounds this track in his father's original recording of this tune (you can even hear needle dropping onto vinyl) and then reshuffles its sonic deck. Os Cariocas returns for "Adeus América" with vocal shadings that cool the tropical heat of Marlon Sette's trombone solo and brilliant horn arrangement. You also often meet the legendary Antonio Carlos Jobim, though you might not immediately recognize him in these colorful, digitized grooves. "Meditação" also grows from the elder Menescal's original recording: Marcio cuts it back to a lilting trip-hop groove and then spreads the languid vocal from Wanda Sa (guest starring from Sergio Mendes' Brazil '65) across the beat like thick, sticky-sweet marmaladea taste of the Thievery Corporation producing Bebel Gilberto. 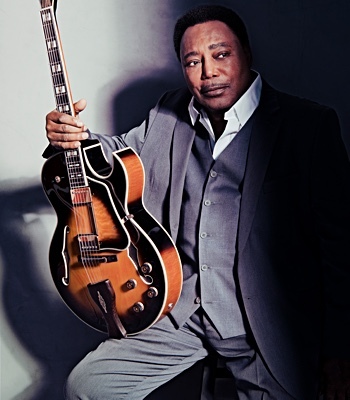 Electric guitar traces each fluid verse of "Água De Beber" like a Brazilian George Benson, while percussion keeps poppin' and horns "sing" the counterpointing chorus. "Índio Quer Apito," a new tune written for Carnival but rooted in a traditional carioca song from the '60s, honors Brazil's Indian heritage with echoing chants and war cries that shimmer into icy reflections through swirling, electronic dancing sound. "Our great references are still the music and culture of the sixties through eighties," Marcio allows. "Brazilian music is very richit has several rhythmic styles, an abundance of harmonies, and extraordinary musicians. But we will always feel like we need to improve and refresh what has come before." In this way, Bossacucanova has changed the face of Brazilian music for the better, and forever. 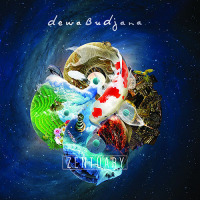 Indonesian composer, guitarist and bandleader Dewa Budjana's tenth release (and his first on guitarist Steve Vai's label Favored Nations in association with Budjana's usual label, MoonJune) reviews, consolidates and advances his sound. 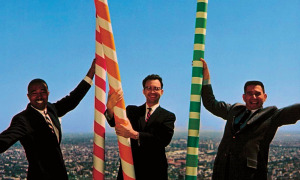 Budjana's three decades of performing and recording, including collaborations with jazz A-listers as Peter Erskine, Joe Locke and Larry Goldings, are worth the retrospective. Even better, Budjana celebrates this milestone release with most likely his best band everdrummer Jack DeJohnette, bassist/stickman Tony Levin and drummer and keyboardist Gary Husbandso his future seems just as bright. 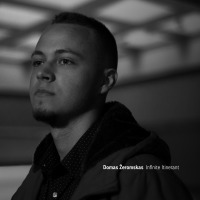 It's tempting to write that, by surrounding himself with such exceptional playersand guests including saxophonist Tim Garland (Bill Bruford, Chick Corea), the Czech Symphony Orchestra (CSO), and Indonesian vocalists Risa Saraswati and Ubiet and flutist/vocalist Saat SyahBudjana has created his most jazz-y release. But that does no justice to the astounding depth and breadth and vision of this music. There's something genuinely, organically global about Zentuary, a true distillation of jazz and native music, a new "third stream" for the new millennium. As you listen to "Suniakala," which features the CSO, you feel yourself drawn into something as alive and deep as mysterious as an ocean. 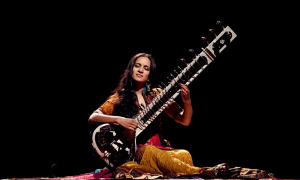 Levin's "Rerengat Langit (Crack in the Sky)" features Indonesian flute and percussion around Saraswati's lush Sudanese vocal, her voice as the lead actress' soliloquy against the band's instrumental chorus, until Budjana's soaring guitar threatens to actually put a "crack in the sky." "Dedariku" also features Indonesian flute, to introduce an Indo-Chinese sound. DeJohnette rolls and tumbles through disc two like a rock drummer in his jazzman's chair. 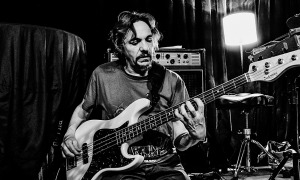 He and Levin grab "Pancaroba" by the throat and plunge it into metallic rock power chords. You could build an entire skyscraper atop his rhythmic foundation to "Manhattan Temple," thundering and explosive lines which conjure the primal force that was drummer Elvin Jones. Jones' ghost also haunts "Uncle Jack," DeJohnette's tour-de-force on acoustic piano, electronics and drums. DeJohnette the drummer knows just where/how to boot DeJohnette the pianist in the booty with the beat, and "Uncle Jack" sounds just as much like pianist Cecil Taylor as drummer DeJohnette. "I conceived the term 'Zentuary' by combining the words Zen and Sanctuary. For me, it summarizes my lifelong journey through my life and along my musical path," Budjana writes in this set's notes. "Uncle Jack, Mr. Tony and Brother Gary, thank you for accompanying me on this fabulous musical adventure!" Zentuary is an enduring postcard of snapshots from their fantastic voyage. Club d'Elf and their sprawling live records present a unique challenge to folks who write about them. This double Live at Club Helsinki set reveals every modern style and multiple Moroccan rhythms (except for opera and bluegrassmaybe). But often we want so much to relate or explain these sounds, and there's so much going on in so many different combinations, that our explanations eventually grow so complicated that they lose their soul. Soulless is no way to address this music. The other challenge reads like a cop-out but it's nonetheless true: These cats aren't just musicians, they're magicians. Good luck explaining magic. (Very) Loosely directed by drummer Dean Johnston and bassist Mike Rivard (who also has roots in the Boston Pops Orchestra, Either/Orchestra, and Morphine), Helsinki very much suggests Club d'Elf's version of the Grateful Dead's legendary live opus Europe '72> (Warner Bros.): It spotlights remarkable, genre-bending solos by Rivard (including sintir), John Medeski (piano, keyboards), Duke Levine (guitar), Brahim Fribgane (oud, one of the world's oldest stringed instruments) and DJ Mister Rourkebut never, ever at the expense of the band's collective dense, hypnotic grooves. 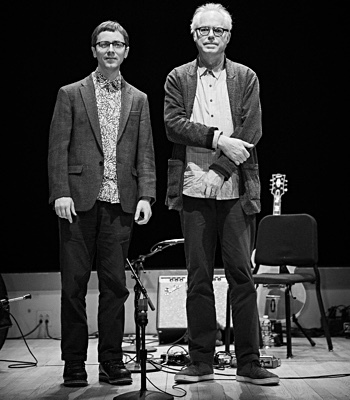 One disc one, Rivard lays down the melody of "Mogador" then hands it over to Medeski, whose solo on grand pianoa McCoy Tyner meets Michael Garson jazz-rock fusion tempestis genuinely grand. Next comes a trip through the landscape of "Africa," which Levine's guitar colors in country-western twang. 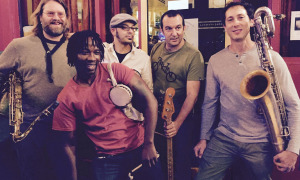 Fribgane picks up a South American cajón to steer the band through the Moroccan 12/8 groove "The Booloolu," and this first set concludes with d'Elf's trademark "Berber Song," a traditional from North-West Africa whipped into an electronic frenzy. On disc two, "Green Screen" upshifts and downshifts through Levine's crashing chords and concludes with a good ol' four on the floor psychedelic funk stompBuddy Miles introducing the Beastie Boys to Jimi Hendrix. "Zeed Al Maal" sounds like the Jerry Garcia Band happily meandering through a Moroccan desert and enjoying the trip. Rivard learned this song from a revered leader of the Gwana mystical brotherhood of trance- healers, and shares it on the Moroccan sintir (camel skin-covered bass lute) as a freedom jazz dance with Thomas Workman's flute. Levine's guitar sounds like it wobbles into the thick trip-hop of "Power Plant" from an Ennio Morricone soundtrack, then Medeski jumps in on organ to swing Booker T. Jones soul chords up into the stars. 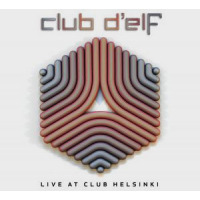 Live at Club Helsinki closes with a spoken sample from one of the band's inspirations, Terence McKenna, which also sums up Club d'Elf's purpose, vision and music: "There is a hidden dimension to reality. Call it a plan, a purpose, a loving god, a cosmos instead of a chaos. And psychedelics, I believe, reveal a greater order than the normal world." Dixon took quite a circuitous route to her third release: After graduating from New York's Fame High School of the Performing Arts, then studying at the Manhattan School of Music, one of her first jobs was in the pit band at the world-famous Apollo Theater in Harlem, where she supported acts from Reverend James Cleveland to Barry White to James Brown. From there, she stepped out her own: She founded her own string quartet, served as Director of New Music for The String Reunion (a 30-piece orchestra founded by violinist Noel Pointer) and was a founding member of the Max Roach Double Quartet. Akua's Dance presents jazz concepts in classical sound. "The music moves forward from where I was to where I'm going," Dixon explains. "On this one, I'm out front with the rhythm section." Actually, she's "out in front" with two rhythm sections: She performs on baritone violin with her working quartet of bassist Kenny Davis, drummer Victor Lewis and guitarist Freddie Bryant, whose playing shines throughout. Dixon switches to cello for tunes with Lewis, guitarist Russell Malone (who also sounds wonderful alongside her) and bassist Ron Carter, with whom Dixon first recorded more than four decades ago (on Archie Shepp's The Cry of My People [1972, Impulse!]). "I've never had a chance to work with Ron playing my music, so I reached out to him," she recalls. "If you don't ask, you don't receive." Dixon's third release hits its stride upon "Orion's Gait" with Carter and Malone, a gently rocking sing-song waltz inspired by the walking pace of Dixon's son in which her cello sounds playfully, almost whimsically, affectionate. 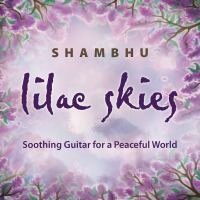 "Orion's Gait" turns into the melancholy sharp tango of Akua's Dance, which the cellist describes as, "A cycle, mostly in seven, but with a couple of bars in six floating around" that dances on the Latin feel from Lewis' peppery percussion and Bryant's acoustic guitar solo. 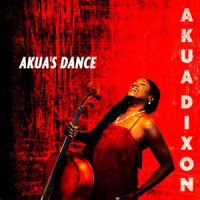 Akua's Dance also transposes two covers into Dixon's unique voice. Sade's quiet storm dancefloor hit "The Sweetest Taboo" proves most inspired, with Lewis tap-dancing the rhythm hand-in-hand with Dixon's smooth, flowing melody on baritone violin, delivering a rhythmic vibrancy and dynamism that other, more stately tunes often seem to want. Dixon delivers the lead vocal of "Throw It Away," decorated by guitarist Bryant and the rhythm section with sublime melodic lines and rhythms, strongly enough to make composer Abbey Lincoln proud (Dixon played cello on Lincoln's 2003 Verve Records' set It's Me). "I Dream a Dream" and the title track are repurposed from Dixon's in-process opera about New Orleans' legendary 19th century voodoo queen Marie Laveau. Notes Over Poetry is Philippe Baden Powell's tribute to his personal and musical connections and encounters. "I can't remember a time making music just by myself, I've always felt like a kid with toys waiting for friends to come and play," he recalls. Notes Over Poetry seems to grow more beautiful as you progress through each track into a blossoming flower of Brazilian sound. Powell is the son of composer and guitarist Baden Powell de Aquino, a legendary founding father of bossa nova. 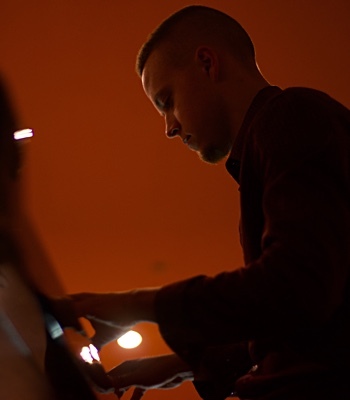 But he sounds as a pianist more like the music heir to Antonio Carlos Jobim; along with Jobim's soft, luscious jazz-tinged touch, he paints in sounds both soft and bright to color music that's deeply rooted in tradition yet sounds contemporary. Two other Powell originals cast quiet but potent spells. 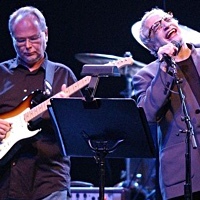 An insistent thump from bassist Rafael Paseiro and French jazz drummer Andre "Dede" Ceccarelli (who has worked with everyone from Aretha Franklin to Michel Legrand) gently propels "Recado Pra Você," while Paula Tesser's vocal splits the difference between Bebel Gilberto and Sade, turning its sound into the vision of twilight stroll along a Brazilian beach. 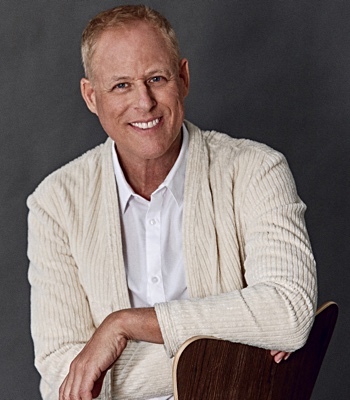 In the colorful "Hues," vocalist and co-composer David Linx switches between doubling and completing Powell's dancing, Chick Corea quicksilver melody. Violin steps up as the pianist's dance partner in the folkish, miniature instrumental gem "Salvadora." 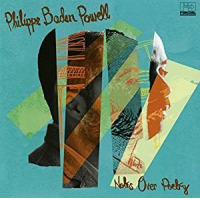 Powell explains Notes Over Poetry in his own notes: "The great Brazilian poet and old family friend Vinicius de Moraes used to say that, 'Life is the art of encounter,' and that is what this album is about." The quantity and quality of music released in 1959 have led many to call it a watershed year for modern jazz. Even just cursory research calls up such landmark titles as John Coltrane's Giant Steps (Atlantic), Ornette Coleman's The Shape of Jazz to Come (Atlantic), Dave Brubeck's Time Out (Columbia) and Miles Davis's Kind of Blue (Columbia). 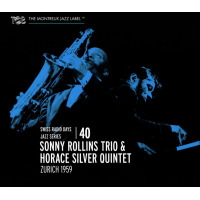 Recorded live at Radio Station Zurich that March, Sonny Rollins Trio & Horace Silver Quintet: Zurich 1959 hoists another pillar in 1959's monument to recorded jazz excellence. Rollins' set with drummer Pete La Roca and bassist Henry Grimes digs deep into the earthy blue, almost gutbucket, sounds buried in Rollins' tenor. They attack the opening "I Remember You" like roving bandits, then Rollins joyously honks out the coda each time they circle through the verse to "I've Told Every Little Star." Rollins' unaccompanied introduction keeps the melody in the foreground even while his stylish improvisations turn "It Could Happen to You" into something new and his own. Recorded so well that you can hear Rollins count off, "One, twoone, two, three" to start, this hot romp through "Oleo" further supports the notion that Rollins named one of his most famous (and most slippery) compositions after the oil- based margarine of the same name, and he trades such explosive closing fours with La Roca that the saxophone and drums sound determined to blow the other off the bandstand. Any opportunity to hear Horace Silver perform with tenor saxophonist Junior Cook and trumpeter Blue Mitchell is a good one; from the first strains of the opening "Nica's Dream" through the groovy ending of "Señor Blues," their voices sing in perfect be-bop, blue harmony. This good opportunity is made even better by their program of classic Silver and supple rhythmic support from bassist Gene Taylor and especially drummer Louis Hayes, who takes every opportunity to shift in between jazz and Latin gears. 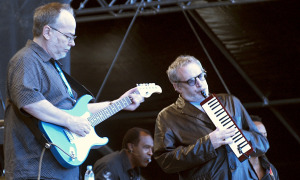 "Cool Eyes" flutters on the warm wings of Mitchell's tight grooving, and although some of Silver's contemporaries such as Red Garland or Cedar Walton had powerful rhythmic feels and could even sometimes slip into a Latin bag, the leader's sparkling cascade of individual notes, clinking and tinkling like ice cubes in a highball glass, are unmistakably Horace Silver. "Ecaroh" and the concluding "Señor Blues" shimmy with the "Spanish tinge" that Silver enjoyed playing most of all. The rhythm section spreads out "Ecaroh" like a warm Latin blanket beneath the cool shade of the swinging bop quintet horns, and the leader's famous introduction to "Señor Blues" leaps and bounds like something Joe Zawinul would have played to open up a blue gospel moan for Cannonball Adderley. Mitchell's first few solo notes, and Silver's piano solo, slice through "Señor Blues" like a razor-sharp switchblade, and you can still feel their magic long after they fade into silence. Tracks: Berimbau; Consolação; Meditação; Bye Bye Brasil; Água De Beber; Brasilidade; Essa Moça Tá Diferente; Previsão; Águas De Março; Adeus América; É Preciso Perdoar; Balança (Nao Pode Parar! ); Índio Quer Apito; Waldomiro Pena (Dalata Remix). Personnel: Nema Antunes: bass; José Arimatéia: trumpet; Luiz Avellar: keyboards; Brother Dado: drums, percussion, tambourine; Adriana Calcanhotto: vocals; Os Cariocas: vocals; Oscar Castro-Neves: acoustic guitar; Danilo Caymmi: flute; Sílvio César: vocals; José Alves Da Silva: violin; Cris Delanno: vocals; Laudir DeOliveira: percussion; DJ Dalua: beats, reco- reco, scratching; Glauco Fernandes: violin; Severino Filho: piano; Chris Franck: bass, guitar, keyboards, programming; Pedro Frederico: violin; Leo Gandelman: flute, tenor saxophone; Diogo Gomes: trumpet; Daniel Guedes: violin; Carlos Eduardo Hack: violin; Marcelinho Da Lua: programming, scratching; Pedro Luis: vocals; Altair Martins: trumpet; Pascoal Meirelles: drums; Flavio Mendes: guitar; Thais Mendes: viola; Márcio Menescal; bass, fender jazz bass, guitar, programming; Roberto Menescal: electric guitar, acoustic guitar, vocals; Fernando Merlino: piano; Alex Moreira: fender rhodes, keyboards, hammond organ, piano, programming, sampling; Sidinho Moreira: percussion; Orquestra Criola: vocals; Leo Ortiz: violin; Jesuina Passaroto: viola; Iura Ranevsky: cello; Pantico Rocha: drums; Rene Rossano: guitar; Wanda Sá: vocals; Claudia Grosso Couto Salles: cello; Emilio Santiago: vocals; Marlon Sette: trombone; Wilson Simoninha: vocals; Carl Smith: congas; Marcos Suzano: pandeiro; Tiago Torres: drums; Reginaldo Vargas: percussion. Tracks: Disc One: Dancing Tears; Solas PM; Lake Takengon; Suniakala; Dear Yulman; Rerengat Langit (Crack in the Sky). Disc Two: Pancaroba; Manhattan Temple; Dedariku; Ujung Galuh; Uncle Jack; Zentuary. Personnel: Dewa Budjana: guitars, soundscapes; Jack DeJohnette: drums, acoustic piano; Tim Garland: tenor sax; Guthrie Govan: guitar; Gary Husband: drums, keyboards, acoustic piano; Tony Levin: electric upright NS Design bass, Chapman Stick; Danny Markovich: curved soprano saxophone; Risa Saraswati: vocals; Saat Syah: Indonesian flute; Ubiet (Nyak Ina Raseuki): vocals. Tracks: Disc 1: Mogador; Africa; The Booloolu; Hegaz; Secret Atom; Berber Song. Disc 2: Al-Hadra; Zeed Al Maal; Power Plant; Salvia; Green Screen; Sidi Rabi. 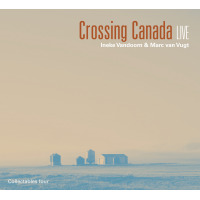 Personnel: John Medeski: Hammond B3, piano, electric piano, clavinet, mellotron, melodica; Brahim Fribgane: oud, vocals, percussion; Duke Levine: guitar; Mister Rourke: DJ; Mike Rivard: bass, sintir, bass kalimba; Dean Johnston: drums; Thomas Workman: flute. Tracks: I Dream a Dream; Dizzy's Smile; If My Heart Could Speak to You; Orion's Gait; Akua's Dance; Throw It Away; Afrika! Afrika! ; The Sweetest Taboo; I'm Gonna Tell God All of My Troubles; Don't Stop. 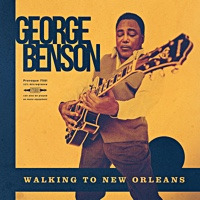 Personnel: Akua Dixon: baritone violin, cello; Victor Lewis: drums; Freddie Bryant: guitar; Russell Malone: guitar; Kenny Davis: bass; Ron Carter: bass. 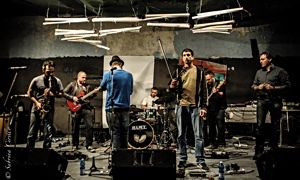 Tracks: Vamos Donatear? ; Notes Over The Poetry; For You To Know; Hues; Chica; The Lonely Dreamer; Recado Pra Você; Salvadora; Quem Sabe? ; State of Music. Personnel: Philippe Baden Powell: acoustic piano, Fender Rhodes; Rafael Paseiro: acoustic bass, electric bass; André Ceccarelli: drums; Ruca Rubordão: percussion; Amir Mahla: tenor saxophone; Marlon Moore: vocals; David Linx: vocals; Alexandre Vaz: acoustic guitar; Paula Tesser: vocals; Sidney Rodrigues: electric guitar; Renata Neves: viola; Delphine Blanc: vocals; Rubinho Antunes: trumpet and brass arrangements. Tracks: Sonny Rollins Trio: I Remember You; I've Told Every Little Star; It Could Happen to You; Oleo; Will You Still Be Mine? Horace Silver Quintet: Nica's Dream; Cool Eyes; Shirl; Ecaroh; Señor Blues. Personnel: Sonny Rollins Trio: Sonny Rollins: tenor saxophone; Henry Grimes: bass; Pete LaRoca: drums. Horace Silver Quintet: Horace Silver: piano; Blue Mitchell: trumpet; Junior Cook: tenor saxophone; Gene Taylor: bass; Louis Hayes: drums.